He was a Yorkshire born scholastic philosopher, with his critical views on the the veneration of saints, the taking of sacraments, use of requiem masses, the concept of transubstantiation, monasticism, and the pomp of ceremonial worship, the status of clergy and the existence of the Pope he is seen quite rightly as the morning star of Protestantism. His views influencing the great protestant reformers of a hundred years or so later. Famed also for translating the bible into English. His views and activities were clearly a thorn in the side of the Catholic church but he was protected by influential figures such as John Of Gaunt. He was Rector of Lutterworth, where he died in 1384 on New Year’s Eve giving a sermon! After his burial the Papacy demanded he be dug up and burnt, his remains being thrown in the river. And it is this terrible act of ‘sacrilege’ which is pivotal to his Holy Well. Dyson (1913) in Lutterworth, John Wycliffe’s Town, notes a later version of the legend tells how this bone fell from the bier and was later dug out, and how a spring issued from the place. It would be ironic if this well was really named after the reforming cleric and opponent of pilgrimages and adoration of saints. The association with the bones giving a petrifying properties to the spring and hence the association. Since I picked up the book in 1986 I have been planning to search out the well. I had written to the address, kindly provided in Sacred Waters – but to no avail. So 32 years I decided to look for it. I found The Springs, easily found on the road to Rugby and knocked on the door – no answer. It looked like the property was now a busy property and empty. 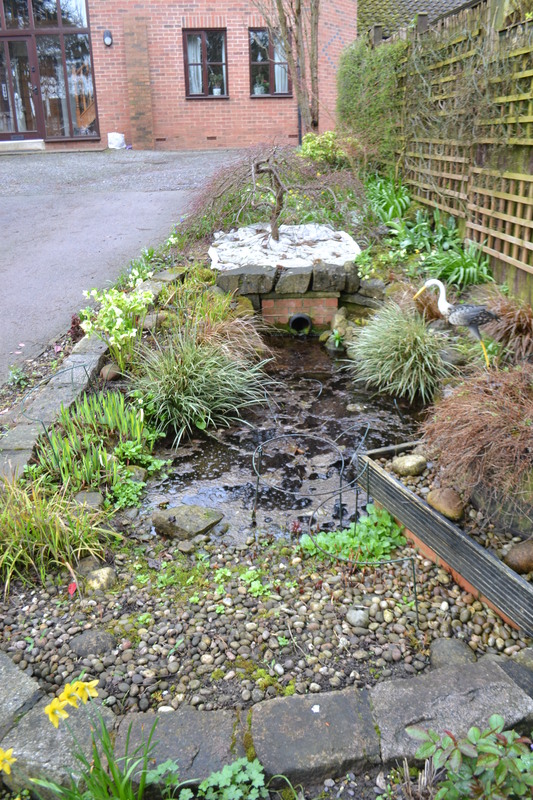 I knocked next door and noticed a small garden adjoining – was this where the spring was? Unlikely. I saw an elderly man engaging with another in a house overlooking the springs and decided to ask him. At first he was not sure of what I was talking about but when I mentioned spring he realised he knew where it was. I was right the spring was no longer in the grounds of The Spring in the subsequent decades houses have been built in the garden of the house. In fact he told me that when the houses were built the builders had a problem with the spring. He remembered it as a circular dip or pool. Fortunately, the builders did not destroy the site and it remains in the front garden of the house. No one was home but as it was in the front garden I decided it did not harm taking a few photos. 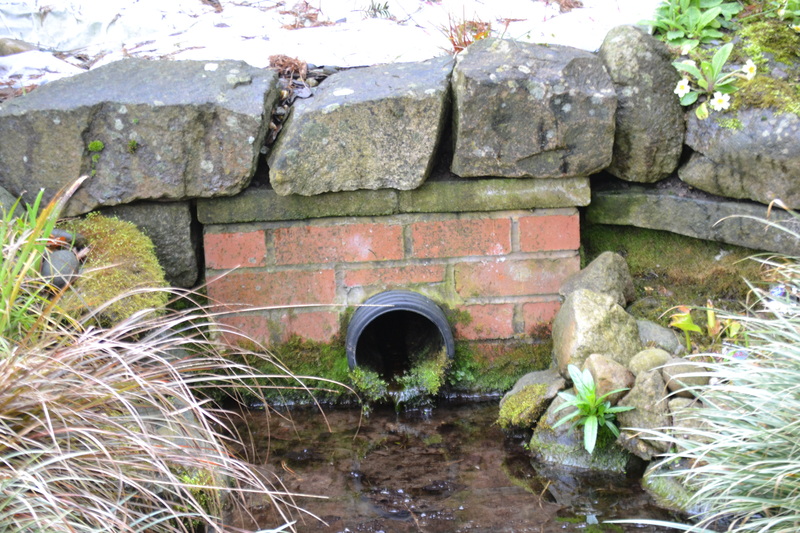 The spring now flows rather sluggishly through a pipe enclosed in a brick and stone structure. It fills an oval pool, possibly that referred to by the neighbour and then flows out into a small brick structure. 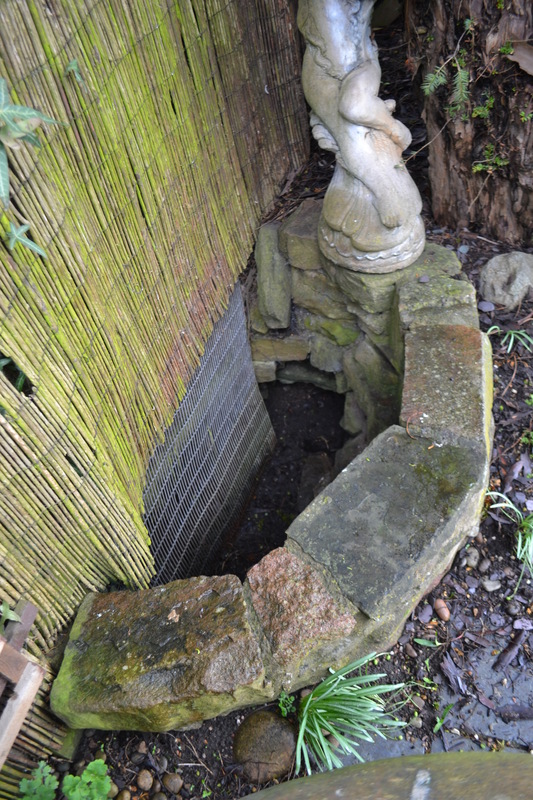 The rediscovery of the original well was a bonus. A foot away it could be found obviously discovered when the original wall was removed to build these new houses. The well a circular stone line structure is dry and crosses under the fence into the next door property. Which was a great find! What is interesting hagiographically is that this was a frequently encountered trope which was used to show the sanctity and power of saintly figures; a theme in itself derived from a pagan folk belief. Furthermore, the emergence of a spring underlines not only the sanctity of the person but emphasised that the act was unjust, being a victim of persecution such as many saints murdered by pagan kings or jealous step-mothers! In this case it might appear strange to associate such a site with a figure so firmly connected with the Reformation. However, this is perhaps a post-modern revisionist view point. To the followers of Wycliffe, the common town folk, who perhaps did not know the full ramifications of his politicised religious views, worthy religious people became saints and feasibly they did not see why their Wycliffe would not. Saints needed sites to justify their saintliness and a local mineral spring already named after a John would be a likely candidate. It is an irony to those who understood his anti-veneration of saints view but lost to the generations just after him, they would only remember his importance to the town. 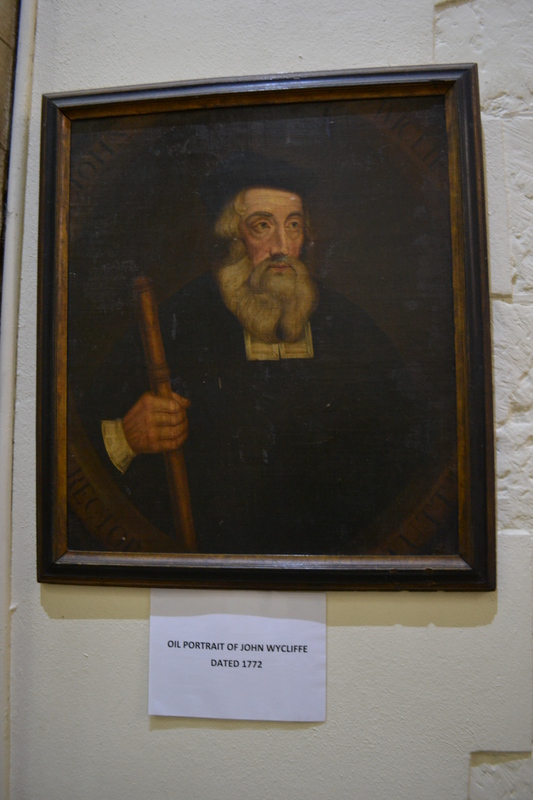 Indeed in 1518, a John Stilman was indicted for saying that ‘Wycliffe was a saint in heaven’. The date may be significant and may explain the lack of appearance of the spring until the late medieval period. It was a local site whose fame would only be noted post the Reformation’s most zealous period. I have discussed how sites associated with Queen Elizabeth I also took on the properties of saint’s wells and it is also possible that in the vacuum created by the Reformation figures associated with the principles of the Reformation were treated like the pre-Reformation saints by the uneducated faithful to provide the same forms of solace. Even today it is clear from the church the importance of Wycliffe where his pulpit, door he passed through when he collapsed on New Years Eve 1384, a font from his era and possibly his garments are proudly on show..all saintly equivalents! Posted on April 19, 2018, in Folklore, Leicestershire, Saints and tagged antiquarian, archeology, earth mysteries, healing wells, Holy Well, Holy well blog, holy wells, Holy wells blog, Holy wells healing springs Spas folklore local history antiquarian, Holywell blog, Local history, mineral springs, Saints, water lore. Bookmark the permalink. Leave a comment.